and shortly thereafter came to live with Bernie O'Shea. Angels guided his life from that moment, so when they said he was to become a priest, that's what he did. But something happened at seminary. Something that nudged at the edges of his memory and sometimes brought him to his knees. He searched for answers. For purpose. For direction. And found some peace in helping others find their own angels, including a former prostitute named Claudia deGras, the suspected mother of a stolen baby. Forced into prostitution at age twelve by her mother, Claudia deGras expected men to use her body, then discard her. 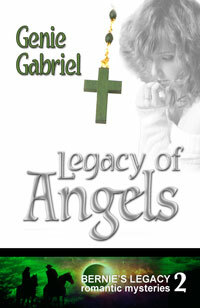 She didn't trust the kindness from a former priest who had demons of his own to conquer. to stand up to the beast-man who sought revenge in the cruelest way possible.